The first Friday of every month is George Streetfest. This month is the Iron George theme because of the Iron Man race that is happening this weekend. 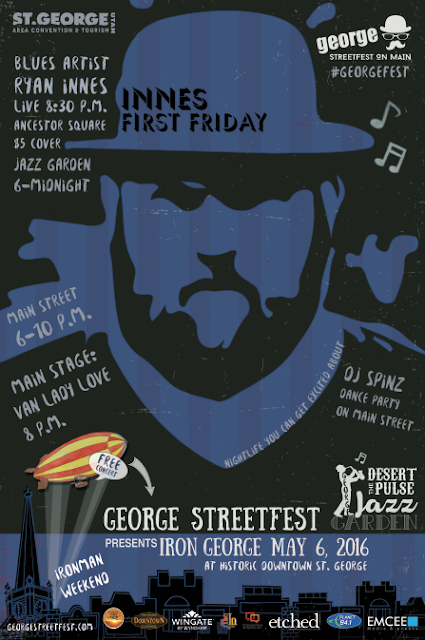 George Streetfest is a great night out and so much fun for all ages. There will be food trucks, shopping, music and entertainment. I want to listen to the Blues Singer! Can't wait!